Recently released data from The Pew Charitable Trusts shows the strain on state retirement systems across the nation as state pension funds strive to keep pace with pensions owed to public employees. As of fiscal year (FY) 2016 (the most recent data available), states reported a combined $1.4 trillion in state pension plan funding deficits. Below-expected returns on investment and insufficient state allocations contributed to widening shortfalls in numerous states since we reported on the FY 2014 data last year. This week’s map uses FY 2016 data to show the funded ratio of public pension plans by state, calculated by measuring the market value of state pension plan assets in proportion to each state’s accrued pension liabilities. Lower funded ratios indicate when a state’s pension plan is not adequately funded, while higher funded ratios are evident in states whose pension assets are keeping relatively good pace with accrued liabilities. Pension plans in Wisconsin, South Dakota, and Tennessee are in the best shape, with funded ratios of 99 percent, 97 percent, and 94 percent, respectively. 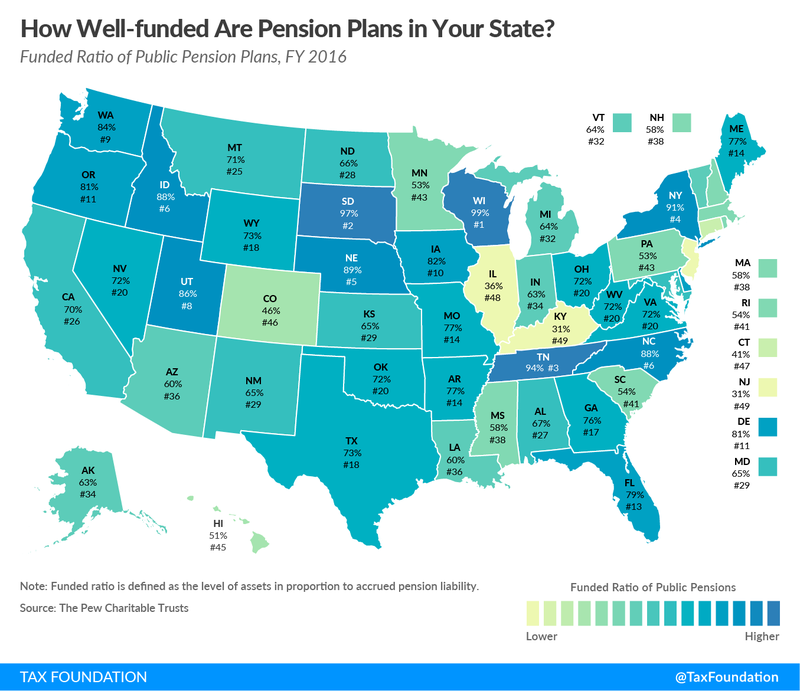 On the other end of the spectrum, states with the most strain on their pension plans are New Jersey and Kentucky (both only about 31 percent funded), and Illinois, with a plan that is 36 percent funded. More than half the states have pension plans that are less than two-thirds funded, and five states have pension plans that are less than 50 percent funded. Pension plan structures vary from state to state, but historically, most states have provided some form of defined benefit plan that promises retirees a lifetime annuity. 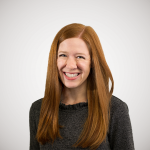 In recent years, some states have transitioned to a defined contribution plan for new employees, with employees controlling their own accounts and employer contributions funded by the state. Other states have shifted to a hybrid plan that combines elements of a defined benefit and a defined contribution plan. The shift from defined benefit plans toward more fiscally responsible alternatives can help states better manage future liability, but many states still face years of underfunded obligations that will need to be fulfilled. How Well Funded Are Pension Plans in Your State?